Ah, facials, one of the best luxuries and good skin necessities on the Earth. If you’ve never had one, they’re the best way to make sure your skin stays in best condition by clearing clogged pores, soothing tired and dull skin – because having a clean, hydrated skin is amazing and you’ll feel like you were just born. But have you heard about medical facial before or, even worse, have you heard stories that have made you a bit nervous to get one? Don’t worry, here I want to tell you everything you need to know about a medical facial. Though I have to admit, it is not as relaxing as a classic facial spa treatment, this is the kind of facial that deals with serious skin concerns that requires a clinical approach to achieve the skin objectives of the patient. For this kind of facial, Dr. med. Chichakli in Vienna uses only products containing significantly higher levels of active ingredients, hi-tech equipment and gadgets. The treatments are a mixture of natural cosmetics, biotechnology, high tech and medicinal compounds, and are used where normal cosmetics reach their limits. 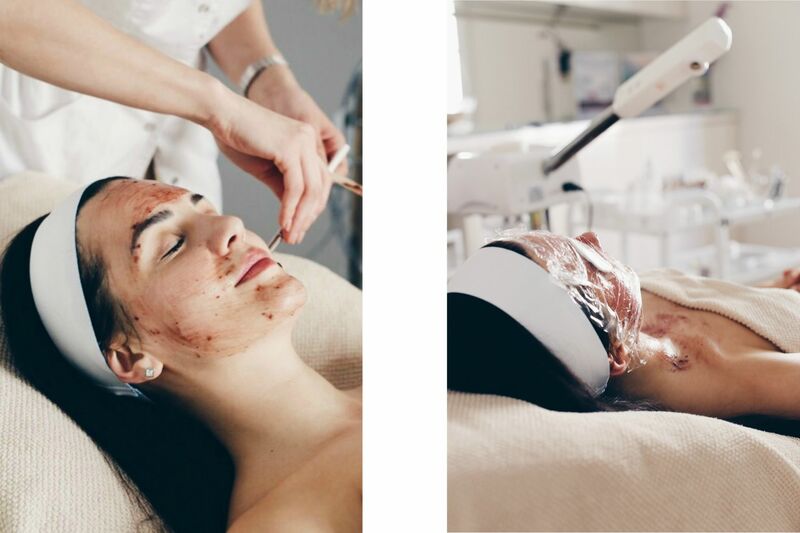 The main difference between a medical facial and a classic facial is that it is typically performed within a cosmetic doctor’s office and uses medical-grade products and tools. With Dr. med. Chichakli supervision, the aesthetician is allowed to use stronger peels. 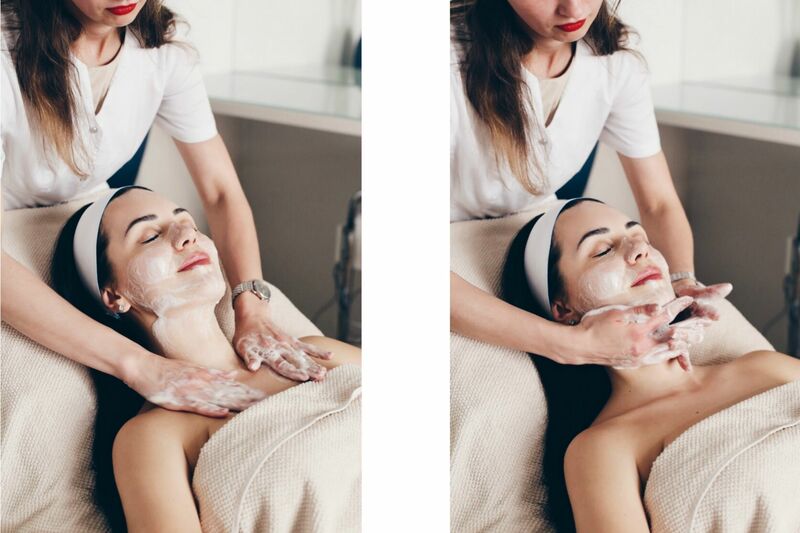 Medical facials are custom tailored to your skin’s needs and generally follow the same steps as a spa facial—cleansing, exfoliating, extractions, and moisturizing—but on a more intense level. Every person is differnent and so the skin. Every medical cosmetic treatment is provided by Dr. med. Chichakli, and put together exactly to the requirements of the respective skin situation and usually lasts between 30 to 90 minutes. Incidentally, medical cosmetics also enhance the results of aesthetic treatments. WHO IS MEDICAL FACIAL FOR? 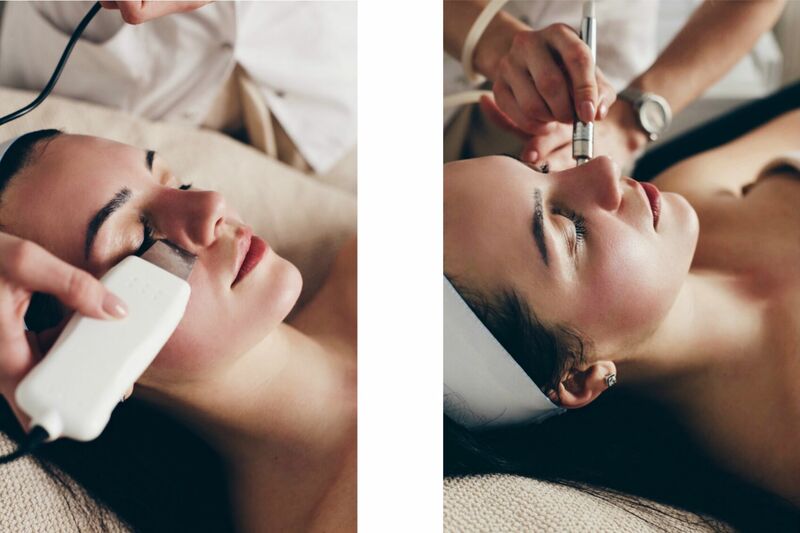 With such a variety of methods, tools, and products available, a medical facial can be customized to accommodate your skin needs, whether it be rectifying aging, dehydrated, sun damaged, or acne prone skin. As always, discuss any allergies or skin sensitivities with your cosmetic doctor or aesthetician before starting a treatment. HOW IS MEDICAL FACIAL DONE? Since a medical facial is more vigorous than a classical facial, it’s obviously less relaxing, but the results are worth it. After a quick consultation, the aesthetician will cleanse, steam, exfoliate and massage your skin, while incorporating treatments such as microdermabrasion, dermaplaning, a chemical peel, microcurrent, that are best suited for your skin’s needs. WHAT IS THE AVERAGE COST OF MEDICAL FACIAL? WHAT ARE THE SIDE EFFECTS OF MEDICAL FACIAL? At most, your skin may feel slightly warm and appear red, but nothing that makeup can’t hide (although you might not want to cover up your fresh glow). WHAT ARE THE BENEFITS OF MEDICAL FACIAL? You skin will immediately appear smoother, tighter, brighter, and more lifted, and clear. Results are cumulative, so the more you go, the better you’ll look. Most aestheticians suggest getting a medical facial once a month, but fitting that into your busy schedule can be tough. Having treatments done quarterly is very beneficial, too. At the very least, sneak one in whenever possible because it’ll give your regular skincare routine a nice boost. *Disclaimer: Complimentary treatment at Dr. Chichakli‘s clinic & beauty center.